Overview of income based residencies – (RENTISTA) Non-Mercosur. 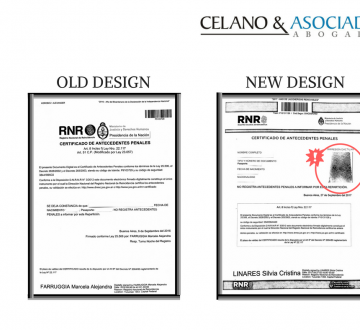 The National Registry of Recidivism has presented a new design for the Argentine Criminal Records certificate with enhanced security features. Now it includes a fingerprint in the records.